In the Northern Hemisphere December and January are months of darkness. Shadows lengthen. Light wains. Darkness deepens. But the night of the world is pierced by the birth of Jesus who is God of God and Light of Light. As John proclaims, “In him was life, and the life was the light of men. The light shines in the darkness, and the darkness has not overcome it” (John 1:4). Indeed, in this season of Epiphany now upon us, Jesus reveals that he has come to overcome the darkness in a most peculiar, unexpected, yet gracious way. Jesus, the Light of the world, was overcome by the darkness, revealing his greatest glory in his crucifixion for us. Jesus allowed the shadow of death to overwhelm and overtake him to give us the light of his life. Arise, shine, your light has come, the glory of the Lord has risen upon you and been raised up for you on the tree, to draw you to Himself. I can’t help but wonder whether J.R.R. Tolkien had the Epiphany of our Lord set in his mind like a lamp guiding him as he wrote, The Lord of the Rings. Whether it was intentional or unintentional, the Light of Christ and his Epiphany shines in Middle-earth all the same. Everywhere you look, at every turning point, in each character and major event, light is essential to his story. 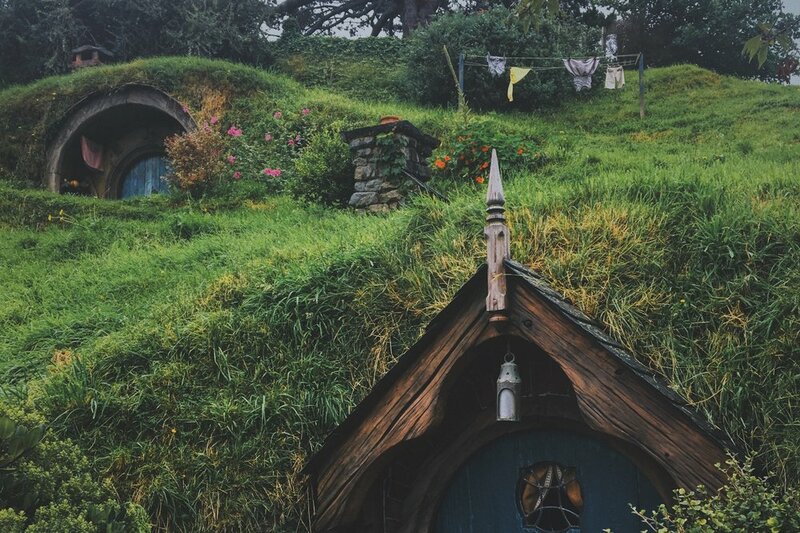 From the Edenic and idyllic lands of the Shire to Rivendell and Lothlorien, Middle-earth is full of light, and those who bear the light in order to keep the growing darkness of Mordor at bay. Epiphany comes to Middle-earth as Gandalf sacrifices himself to save the Fellowship of the ring before the Balrog in the Mines of Moria. “You cannot pass, he said. “I am a servant of the Secret Fire, wielder of the flame of Anor. You cannot pass. The dark fire will not avail you, flame of Udun. Go back to the Shadow! You cannot pass” (J.R.R. Tolkien, The Lord of the Rings, New York: Houghton Mifflin Company, 1987, 322). Epiphany comes to Middle-earth as Galadriel gives Frodo the gift of light. “In this phial,” she said, “is caught the light of Earendil’s star, set amid the waters of my fountain, It will shine still brighter when night is about you. May it be a light to you in dark places, when all other lights go out” (Tolkien, 367). Epiphany comes to Middle-earth in the courage, sacrifice, and loyalty of Samwise, who, with sword and light in hand, saved Master Frodo by defeating Shelob the Spider. He took Galadriel’s phial, filled with light and water and it pierced Shelob like nails. “The glass blazed suddenly like a white torch in his hand. It flamed like a star that leaping from the firmament sears the dark air with intolerable light...The beams of it entered into her wounded head and scored it with unbearable pain, and the dreadful infection of light spread from eye to eye” (Tolkien, 713). Each of these little epiphanies in Middle-earth are like the star the magi saw arise in the sky, a light that reflects and points to Jesus who is the Light of the world. The light of Gandalf’s staff, of Galadriel’s phial, and Samwise’s courage in lamps in Middle-earth that lead us to the far Light of Light who was born for us and made flesh and dwelt among us, joining us in the darkness to save us from the shadow of death. This is what the season of Epiphany is all about. The Light of Christ who stands in solidarity with sinners in his Baptism in the Jordan River. The Light of Christ who came to turn back the shadow of Adam’s curse and our captivity by the light of his Word that made the deaf hear, the blind see, the lame walk, and the dead to rise. The Light of Christ who dwells with us in the darkness of our world, who lives and dies and rises to rescue us from our sin-darkened hearts, and to deliver us from eternal night to an endless day. In Epiphany we join Samwise in singing in the dark, yet full of hope, life, and light. Samuel P. Schuldheisz is Pastor at Redeemer Lutheran Church in Huntington Beach, CA. He graduated from Concordia University Irvine in 2004. He and his wife, Natasha, have two children, Zoe and Jonah. His reading, research, and writing interests focus on The Inklings, Imaginative Apologetics, and the intersection of theology and literature.